Are Your Rusted Gutters Leaking And Need Gutter Replacement? Leaking or rusted gutters can start off as a small problem, but it can quickly turn into a major disaster causing structural damage to your home. Leaking gutters cause timber rot, damaged eave sheeting and electrical problems that could cost you thousands of dollars in repairs! This means that, the moment you notice a few drops it’s a good time to call the experts at Westcoat® – Perth`s Roof & Gutter Restoration Specialists and we will provide you the right advise on your gutter replacement. We will make a time to come and see you at your home, inspect your current guttering issues and then provide you the right advise supplying a detailed written quote. Westcoat® also specialise in single or double storey homes and can start your gutter replacement within 2 weeks of your quote acceptance. Westcoat® installs Colorbond guttering that comes in a range of gutter profiles and the full range of Colorbond colours, we can match your existing gutters or you can change the gutter profile and colours to compliment your homes appearance. Fascia is strong and durable finished in a range of Colorbond colours to blend in with your homes colour schemes, for not a lot more than a painter would charge you to paint your existing fascia can have new fascia to match your new gutters. Westcoat® install over 1000 gutter replacements a year, most of the time the new gutters make the old fascia look tired and dull. Fascia cover is designed to go over existing fascia or cover timber fascia, giving the same finish as your new gutters. Down pipes are an important part on any gutter replacement, down pipes are prone to rust and require to be replaced more often than people think. Down pipes come in rectangle or round profiles, available in a range of different sizes. 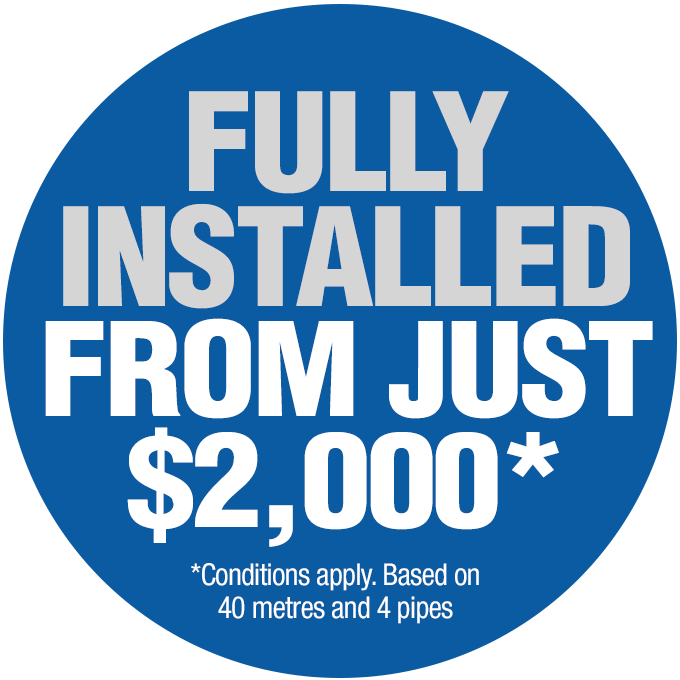 It may surprise you but over half our work comes from fixing up Perth`s dodgy back yard operators poor workmanship in many gutter replacements that could have been installed for not a lot more money by qualified tradesmen the first time. Theres more to know than just hanging a gutter as some of these customers find out the hard way when the winter rains return and they can`t get in touch with the original contractor. Westcoat® – Perth`s Roof & Gutter Restoration Specialists are so confident of our workmanship with the use of genuine Colorbond® guttering products that on all our new installs of any gutter installation or replacement that we guarantee if your gutter system rusts out before 20 years we will replace it absolutely free. Its important to understand what warranty you are getting once your gutters are installed. Westcoat® supply you with genuine Bluescope warranty from Bluescope directly, warranting you for up to a period of 20 years. If you don`t get this warranty then you simply don`t have a warranty. Westcoat® fully insured installers are uniformed qualified trades professionals that will leave your home completed so you need not worry about getting your roof repaired from any damage incurred from your new gutter replacement.Westcoat® specialise in single and two storey homes providing our services to residential, strata and commercial properties of all sizes and are available to all the local suburbs throughout Perth. Call the professionals at Westcoat® Perth`s Roof & Gutter Restoration Specialists today for more information on your guttering requirements. Call Us for free no obligation inspection and we will provide you detailed written gutter repair or gutter replacement quote. We Provide you professional advice on the right gutter repairs or gutter replacement for you properly to prevent leaks and further damage. Gutters installed within 2 weeks from your quote acceptance by one of our fully insured, uniformed skilled tradesmen.